through ecological stewardship and biodynamic agriculture. 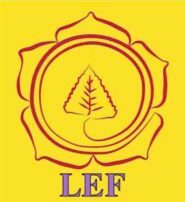 LEF VISION: Traditionally, farms throughout the world have been places where human beings can learn about and participate in life processes. When someone sows a seed, then harvests seed from the same plant, they see the unfolding and development of a life from beginning to end. 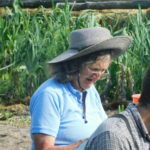 Through the Living Environment Foundation (LEF) we wish to invite the wider community to connect with and learn from the vital mosaic of the farm’s living environment. LEF promotes opportunities in cultural, social, therapeutic and economic life within the living fabric of farms that provide them their nourishment. Lastly, we intend to help farms go into the future by searching for ways to hold the land and manage it through land trusts and trained young agriculturalists. 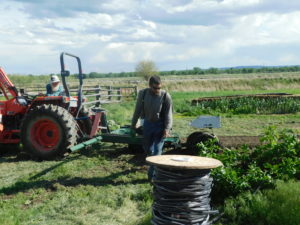 Farms to go into the future, by exploring ways to hold the land and manage it through land trusts and trained young agriculturalists. England and Switzerland. They lived in Camphill Village USA in Copake, New York from 1998 until 2010, where they founded the Turtle Tree Biodynamic Seed Initiative (www.turtletreeseed.org) as a workshop for people with special needs that focused on growing and selling organic/biodynamic seeds. They returned in 2010 to grow seed at Beth’s family farm in Scottsbluff, NE where Beth’s, grandparents homesteaded in the 1800’s. The farm has been certified organic since 2009. 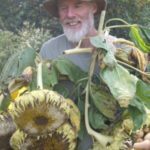 Beth and Nathan are life-long members of Seed-Savers Exchange, as well as the Biodynamic Gardening and Farming Association. For more information about Beth and Nathan’s work, see the farm’s website, www.meadowlarkhearth.org. use our “Contacting LEF” page to send us a message.